Ladies and gentlemen, I give you my answer to the Big Mac, a recipe for some dangerously moreish giant chocolate macadamia nut cookies. Strewth! You know you’re onto a good thing when you open a jar, dip your spoon in and nearly swoon with delight when spoon meets tongue. The difficulty comes in stopping at just one spoonful. I’ve been working on a recipe using Macabella and I’ve been finding it difficult to restrain myself from trying just a little bit more. So what is Macabella? Read on. Macabella is a unique and luscious chocolate spread from Australia. It’s made with buttery macadamia nuts and Belgian chocolate and comes in two varieties: Velvet and Crunchy. It recently won Australia’s 2016 Product of the Year in the Spreads category and I can see why. The nuts make up nearly 20% of the mix, which is significantly higher than other similar spreads. The ingredients are also sustainably sourced, which always gets extra brownie points from me. But no worries fellow Brits! There’s no need to trek over to Australia, although that would be nice; it’s now available over here in the UK and is stocked by Sainsbury’s with an RRP of £3 a jar. 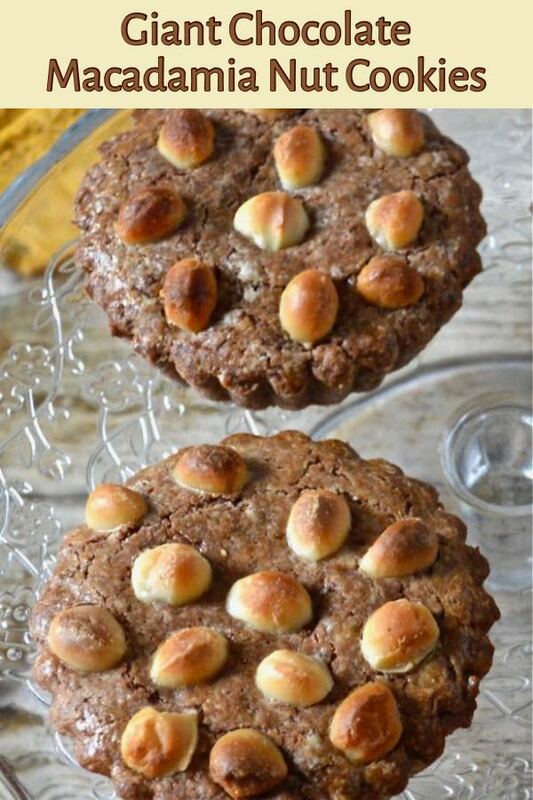 These giant chocolate macadamia nut cookies fall somewhere between a tart and a biscuit. 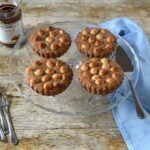 A layer of crumbly sweet pastry made with crunchy Macabella is filled with luscious velvet Macabella and then covered with another layer of pastry and topped with macadamia nuts. The pastry is crumbly rather than crisp and isn’t too sweet, so there’s a nice contrast between it and the smooth sweet Macabella. They would make an excellent dessert served warm with a little crème fraîche. However, they work very nicely as a snack, although one is best shared in this instance. Though I say it myself, my Big Mac knocks spots off the better known version. Try it and see if you agree. These giant chocolate macadamia nut cookies fall somewhere between a tart and a biscuit. They're filled with luscious chocolate macadamia spread. Place the dry ingredients into a large bowl and cut in the butter. Rub between fingers until the mixture resembles breadcrumbs. Alternatively pulse in a food processor. Mix in the crunchy macabella, first with a knife, then with your fingers. Or just add to the food processor and pulse a bit more. Break in the egg and stir with a flat bladed knife until everything forms into a ball. If the mixture is too dry add a tsp of water. Again, you can use a food processor for this. Bring the pastry together with your hands, then cover and leave to rest in the fridge for half an hour or so. Flour a board and roll the pastry out to about 6mm in thickness. Using the top of a 10cm tart tin, cut out 4 circles and put these aside. Cut 4 slightly larger circles to fit 4 tins, re-rolling as necessary. Line the tins with the large circles, pressing them well in. Spread 1 tbsp of velvet macabella over the base then top with the smaller pastry circles, pinching the edges to seal. Brush with the milk, then gently press the macadamia nuts into the pastry, just enough so they won't fall off. Bake in the middle of the oven at 180℃ for 20 minutes or until golden. The quantities can easily be doubled to feed more people. These giant chocolate macadamia nut cookies are my contribution to this month’s We Should Cocoa. You have until the 28th of the month if you’d like to join in. If you make these giant chocolate macadamia nut cookies, I’d love to hear about it in the comments below or via social media. A photo is always good too. If you’d like even more nut butter ideas, do take a look at my Nut Butter Recipe board on Pinterest. For more delicious and nutritious recipes, follow me on Twitter, Facebook, Instagram or Pinterest. Giant Chocolate Macadamia Nut Cookies. PIN IT. Post commissioned by Buderim. I was not expected to write a positive review and all opinions are, as always, my own. Thanks to my readers for supporting the brands that help to keep Tin and Thyme blythe and blogging. These look really good! Is the macadamia spread similar to Nutella in proportions of nuts, chocolate and sugar? 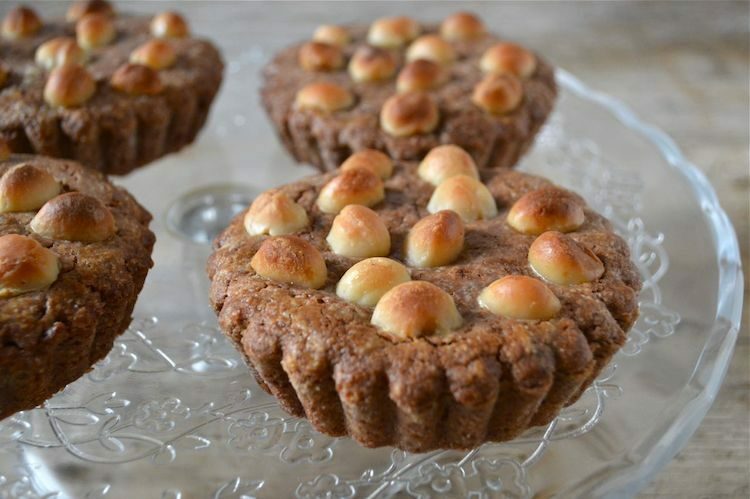 If so, i can see a hazelnut version working well, with perhaps some chopped nuts added to the pastry. Thanks Suelle. No the macabella has a much higher nut content and is superior in my opinion. However, I don’t see why it wouldn’t work with nutella, the amount used isn’t a lot, so the effect would be minimal. Give it a go and let me know how you get on. Mmmmhh, very enticing stuff …. definitely worth a try ! Let’s see if I can find Macabelle over here. It’s gorgeous Henk. If you can’t get any over there, I’m sure with all the toing and froing between England and Holland that some could find it’s way to you. These look scrumptious! I haven’t tried Macabella spread before, not sure if I’ve seen it anywhere but I’ll keep my eyes peeled for it! Thanks Sylvia. It’s delicious stuff and is now being stocked in Sainsbury’s. LOVE your take on a Big Mac and absolutely adore Macadamia nuts. Thanks Claire. Macadamia nuts are gorgeous and strangely even more so when combined with chocolate I’ve found. They look fabulous with the king of nuts! Thanks Angie. Macadamia’s really are delicious nuts. They’re not so easy to get hold of here. I love the way you describe that delight of taste.. these cookies really look superb and I love the toasted nuts on top! Thanks Dom. This stuff should really come with a warning – once started, impossible to stop! Tart or biscuit I am all IN. They sound amazing. I have to try Macabella on the lookout for it! Ooh these look and sound epic, I’d defo have one (or two) of these over a regular Big Mac! I’m with you on the chocolate, of course 🙂 But chocolate combined with macadamia nuts is just gorgeous. Yet again wishing I loved closer to you – I could swallow one of these whole RIGHT NOW! Hahaha, I’d like to see you try Chris. Hope all is well. Thanks Alida, the spreads are scrumptious. Christmas is definitely the time to make the most of baking and cookies in particular. I need to figure out what I’m going to make this year. Cor blimey, they look like awesome cookies!! Hehe! They’re probably more tarts or pies than cookies, but they’re a bit difficult to classify. Well I have to say they look so much superior to the other kind of Big Mac! I haven’t had macadamia nuts for agrs and would love to try macabella so will be on the look out at Sainsbury’s next time I go. It’s been a while since I came across a desert recipe that I actually want to try out. These cookies look absolutely delicious. I intend to serve them with vanilla ice cream. Glad you like them. Let me know how you get on if you do try them.